Summer's here and we know that a lot of people are scouting for places where they can spend a meaningful and memorable summer vacation. Let us make your search a bit easier by suggesting a place very near Metro Manila. How about going just a bit south of NCR, say Sta. Rosa , Laguna? Located right at the heart of Ayala's Nuvali estate in Laguna , inside that eco-community covering 2290 hectares, is a premier outdoor adventure and team-building hub called Camp N.
The name Camp N is so simple, almost generic, actually. Yet behind the name, is a six-hectare facility designed not only for fun, but also for a physical journey full of thrills towards self-discovery. Camp N encourages you to test your physical limits and your mental abilities in solving problems posed by obstacles and hurdles . Best of all, Camp N provides a safe environment for you to test your will and face or discover your fears. What facilities can one find at Camp N? The outdoor adventure facility is proud to have the 90 foot Adventure Tower, which features the biggest rollercoaster zipline in Asia. That thrilling zipline ride will have you screaming and shouting excitedly as it takes you to its dips and heights, leaving you wanting for more. 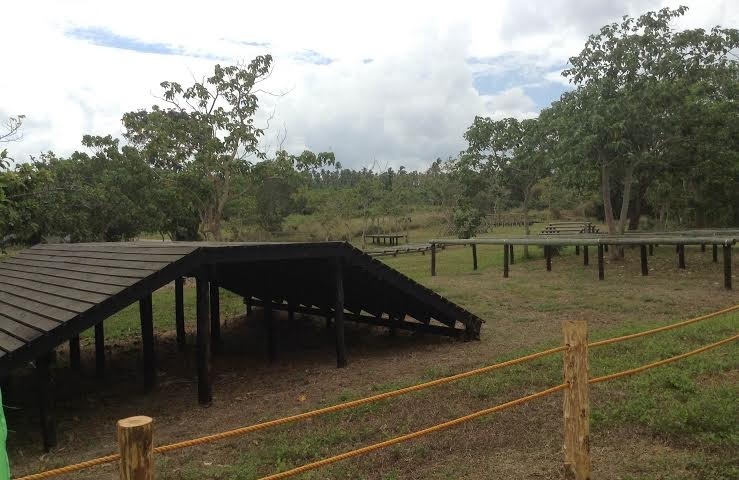 Note that you have two choices for the zipline, the long (280 meters) and the short (180 meters). Double the fun and take both! 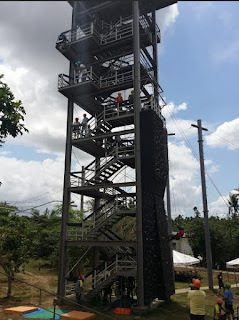 The Adventure Tower also features a free fall, which will test your willingness to take a small step into nothing but air, about 30 meters above the ground. With a safety harness, you have nothing to lose and everything to gain. You only have to be willing to let go of your fear, and once having done so, you'll probably want to step out into that void again and again. Want to experience wall climbing and rappelling? You can do those activities at the Adventure Tower,too. 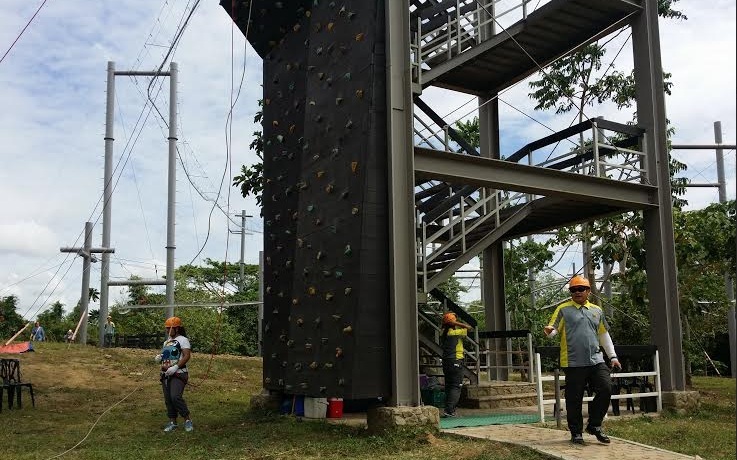 Aside from the Adventure Tower, Camp N also have ready facilities for three challenge levels of the Obstacle Course, the Aerial Walk, the High and Low Rope initiatives, running and biking trails, and strider play areas and camping groups for kids' activities. Camp N also has a three-hectare demo organic farm called Greens & Patches, which will include fruit and vegetable picking activities in the future. The farm and nursery will also be developed for more introspective self-development activities like art workshops, group-led meditation sessions, and more. Of course, there are the usual facilities such as a shower area, clinic, and parking area. The canteen and camp grounds will soon follow. Who can go to Camp N? There is no age limit but one should be at least 4 feet in height and should not exceed 270 lbs. to fully enjoy the camp's facilities. Pregnant women, and people with hypertension, heart ailments, and orthopedic problems are strongly advised not to use the facilities. How do you get to Camp N Nuvali? One can take any of the following SLEX exits: Mamplasan, Sta. Rosa, Eton-Greenfield, Silangan, and Canlubang to get to Nuvali. Expect some traffic if you take the Sta. Rosa exit. When inside the Nuvali community, you have to go past 3 or 4 guardhouses, and go past Treveia, and Elaro to get to Camp N.
There are public vehicles presently available at Makati, Bonifacio Global City, and Balibago, which could take you to Nuvali. Starting April 16, shuttles to and from Nuvali terminal to Camp N will also have regular schedules. The shuttle charges P20 per head per trip. Camp N's rates will set you back a minimum of P450 to a maximum of P1,300 per person. Camp N Nuvali will open on April 16 and will also host the first leg of "AXN Ultimate Thrill 2016", which is very much similar to "The Amazing Race". If you're interested in going to Camp N Nuvali, contact +63 977 84 CAMP N (2267 6) or email camp-n@lakbaykalikasan.com.